As the area’s largest hunger-relief organization, Second Harvest partners with a network of over 100 hunger-relief charities and generous food donors and fund donors, we put healthy food on the table for families in need across Crawford, Erie, Huron and Lorain Counties. The people that we help are your neighbors. They are parents who have searched for work for months, maybe even years, and rely on food pantries to feed their children. They are schoolchildren who look forward every week to bringing home one of our food-filled backpacks to share with their families. They are senior citizens who have fallen on hard times and can’t make ends meet on fixed incomes. And they are veterans who proudly served our country and need help to get back on their feet. 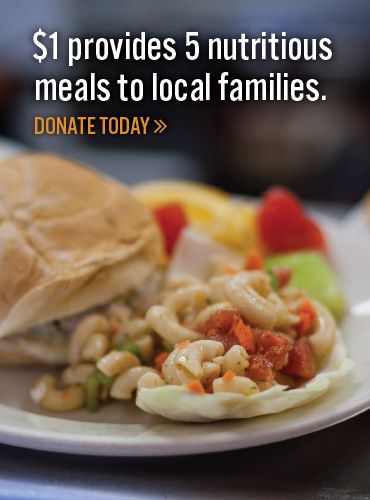 Just $1 can help us to provide 5 meals to our neighbors in need, and help us to provide a more hopeful, healthier and brighter future for our community. Second Harvest Food Bank of North Central Ohio is a charitable organization under section 501(c) 3 of the Internal Revenue Code. All contributions to Second Harvest are tax-deductible to the extent allowed by law.